Garden Clearance, Garden Waste Disposal, Ground Clearance and Site Clearance for Domestic, Commercial and Industrial Areas. Has your garden become overgrown and unmanageable? Is there too much rubbish and green waste for you to be able to dispose of? If the job’s too big for you then it’s time to call in the experts and get a complete and thorough garden clearance service. We have the time and the equipment to efficiently and quickly remove rubbish, garden waste, plants, bushes, weeds, trees and rubble, leaving you with a clear space ready to landscape. Nothing get’s left behind and everything is disposed of responsibly, so you can relax and let us do the dirty work! For large areas of overgrown land we can remove hedgerows, heavy vegetation and rocks with our heavy duty machinery. 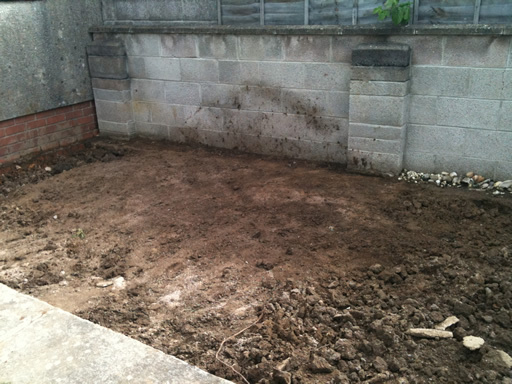 All work is carried out efficiently to completion and land is ready and prepared for new landscaping. Our professional team can completely clear industrial land and construction sites ready for building. No job is too big or small and we offer very competitve quotes.